Keep valuables and prized possessions hidden and out of harm's way with this item's included hidden storage. Curved panels separating drawers give the appearance of a stylish detail, but open to reveal a short, felt-lined compartment that offers protection for items like necklaces and earrings. The textured felt lining helps to keep items in place, ensuring you won't open the drawer to discover a tangled mess of your most delicate accessories. 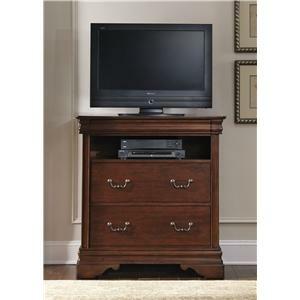 The traditional character of this dresser and mirror combination will make a great addition to your bedroom. 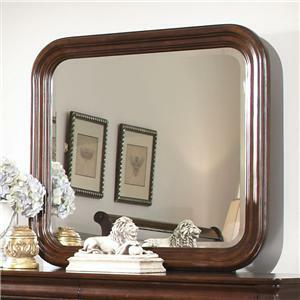 The eight drawers, two of which are hidden, will provide plenty of stylish storage space and the mirror will complete the dresser and also open up the room. 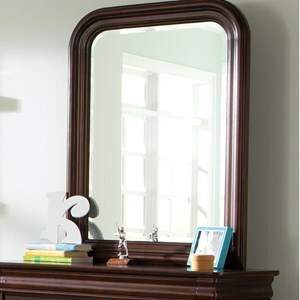 The rich mahogany finish and traditional design elements; bracket feet, crown molding and antique bail handles, come together perfectly with the dramatic mirror frame and beveled glass to create a great combination for your room. The Carriage Court 8 Drawer Dresser and Beveled Edge Mirror by Liberty Furniture at Hudson's Furniture in the Tampa, St Petersburg, Orlando, Ormond Beach & Sarasota Florida area. Product availability may vary. Contact us for the most current availability on this product. You deserve a bedroom that is pleasing to you; a bedroom that has a look and an aura that makes you feel satisfied. 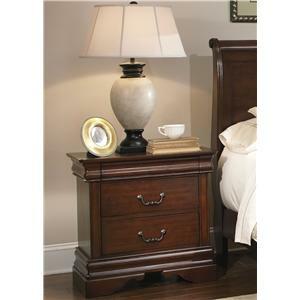 The Carriage Court bedroom collection carries itself in a traditional manner that establishes character in the bedroom. A mahogany finish on cherry veneers sets classic tone to the collection. 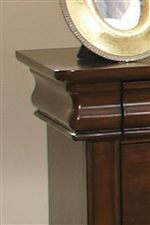 Bracket feet, crown molding and antique brass bail pull handles are of traditional style that add to the aurora of the collection. 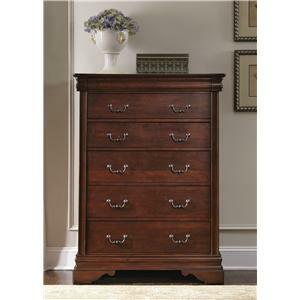 This bedroom collection is made from pine hardwood solids and cherry veneers with a mahogany finish. 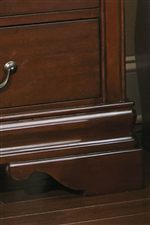 Drawer interiors are fully stained and are constructed in French and English Dovetail which provides a stronger, more durable drawer. 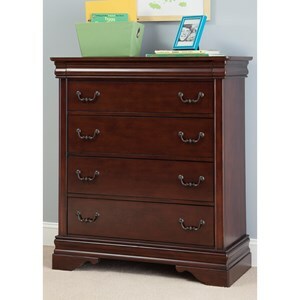 This collection offers a unique feature with hidden top drawers, which are felt lined. The collection also features bottom case dust proofing. The Carriage Court collection is a great option if you are looking for furniture in the Tampa, St Petersburg, Orlando, Ormond Beach & Sarasota Florida area. Browse other items in the Carriage Court collection from Hudson's Furniture in the Tampa, St Petersburg, Orlando, Ormond Beach & Sarasota Florida area.